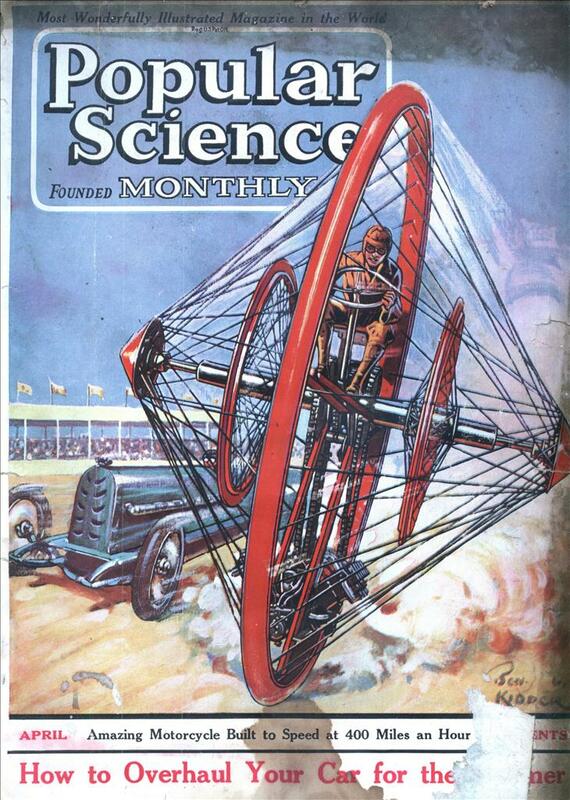 The automobile has passed the railroad in passenger transportation, and will soon surpass it in transportation of merchandise. It is not limited to mass movements nor fixed routes, but oper- ates economically even for a single person or for few products, over highways and byways. It links city and country, pioneer settlements with railroad trunk lines, and unites all America in one cooperative community. 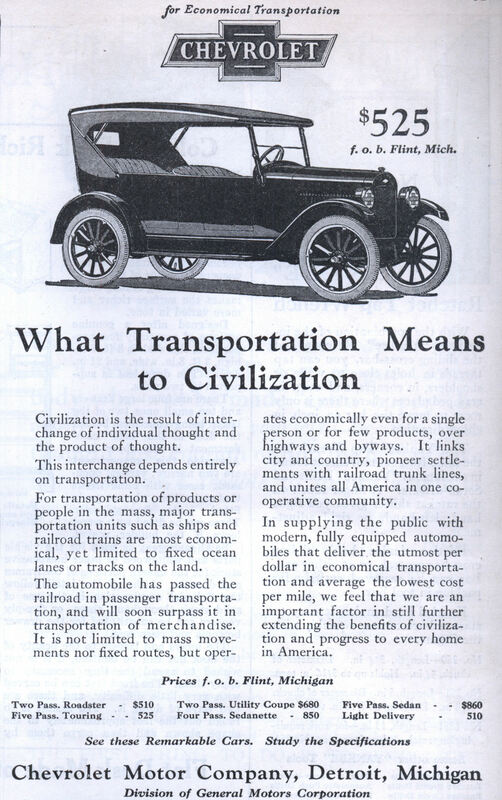 In supplying the public with modern, fully equipped automobiles that deliver the utmost per dollar in economical transportation and average the lowest cost per mile, we feel that we are an important factor in still further extending the benefits of civilization and progress to every home in America. Two Pass. Roadster – $510 Five Pass. Touring – – 525. Two Pass. Utility Coupe $680 Four Pass. Sedanette – 850. Five Pass. Sedan – – $860 Light Delivery – 510. See these Remarkable Cars. Study the Specifications. Chevrolet Motor Company, Detroit, Michigan. The quality of prose in public discourse has dropped dramatically.